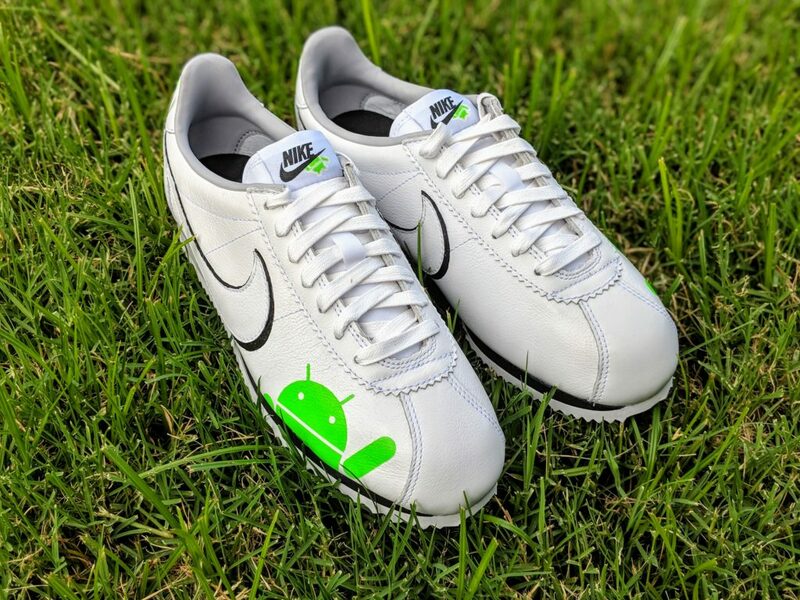 “Oh Hai!” My #Android x #Nike Cortez custom sneaker . So cute! 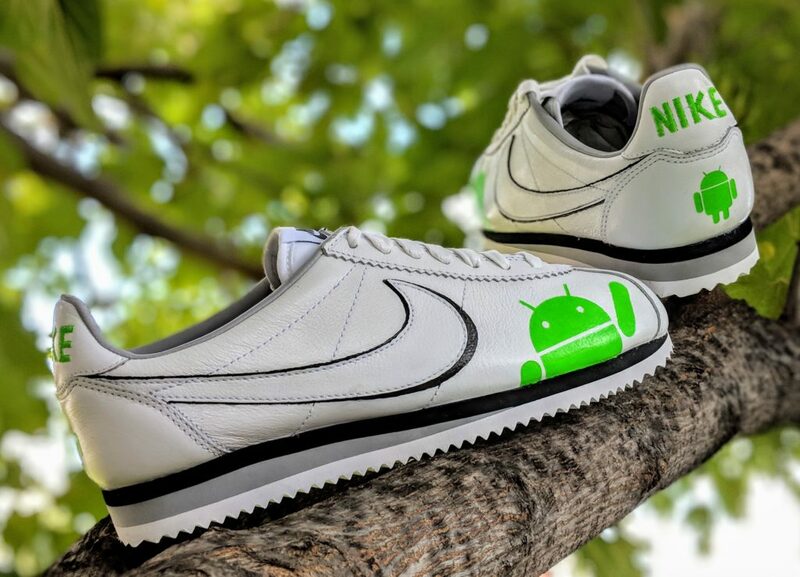 I wanted a more simple, easy to wear #AndroidDev sneaker that I can take to googledevs and speaking events like droidconUK. Say Hai! Here are the Vector Graphic files for cutting the vinyl to size. 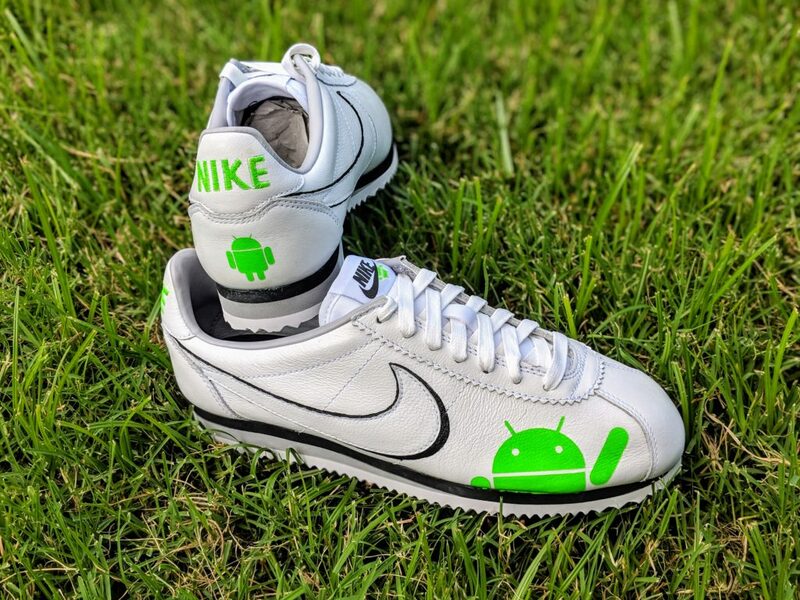 Place vinyl stencils n the shoe (sized appropriately to your shoe size, for my size 7 Mens/ 8.5 Womens this was 1″ for the heel logo, 3″ for the toe icon, and 0.5″ for the tongue icon ). Make sure the stencil is applied as well as possible and smooth. Paint in the stencils with 6 coats of the joker green. Remove Stencils once semi-dry (not fully dry as otherwise you risk pieces coming off). Clean up any edges using toothpicks as brushes.